High Quality Chakra Round Beads Bracelet can be worn when you are going for an outing or meeting your friends. This bracelet might look simple but it has metaphysical powers. These beads activate and energize your body chakras. 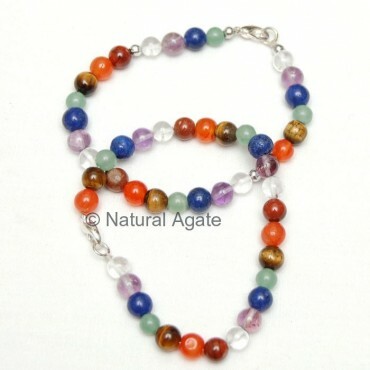 It is available on Natural Agate.